Pictured at the recent Poetry Workshop given by Tim Cunningham at the Limerick Writers’ Centre were: Front – Beth Dennihy, Clare Dollard, David Tobin, Tommy Collins. Back – Dominic Taylor, Gerard Sheehy, Mike Finn, Tim Cunningham, Mark Lloyd, Joe Healy and Michele English. 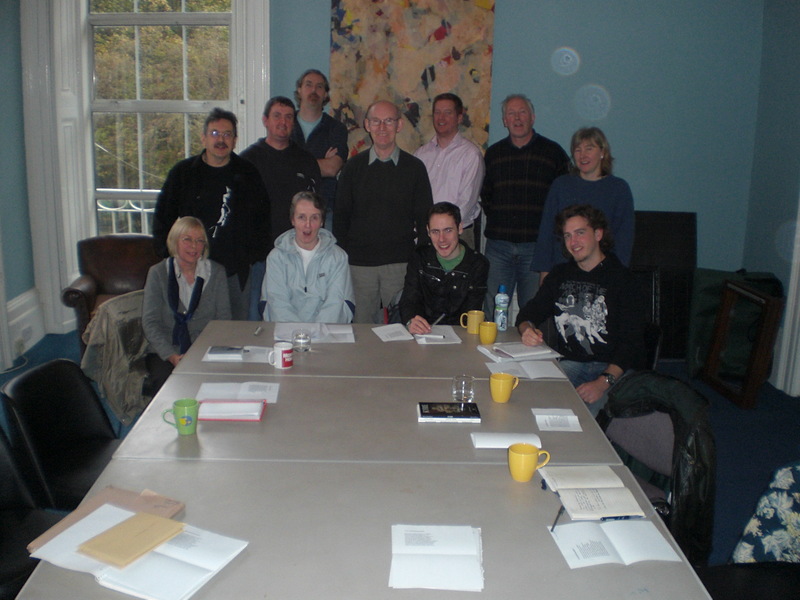 Aspiring poets are invited to participate in a Poetry Workshop with poet Tim Cunningham at the Limerick Writers’ Centre, 12 Barrington Street, Limerick Sat 25th Oct 2008 starting at 10.00am and running to 12.00 noon. Those interested are asked to contact Dominic Taylor at 087 2996409 or email limerickwriterscentre@gmail.com Fee €10.00. 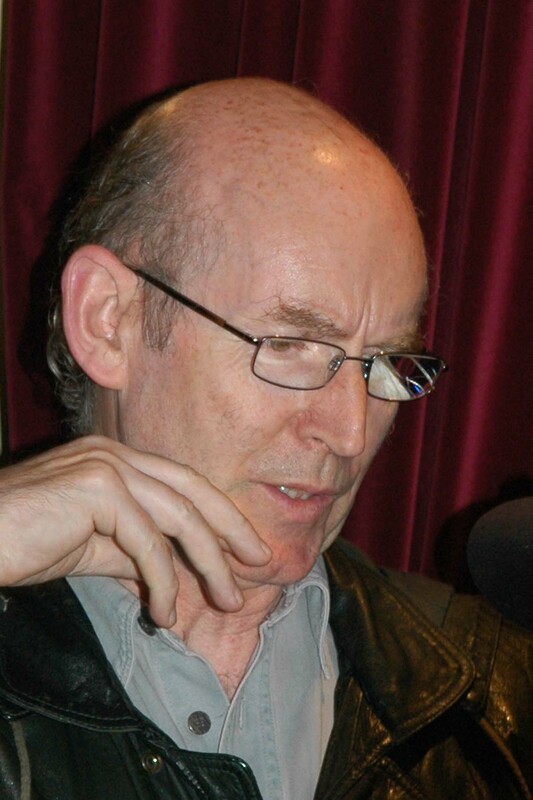 Tim Cunningham was born in Limerick in 1942 and educated at Limerick C.B.S. and Birkbeck College, London. He has lived in Limerick, Tipperary, Dublin, Trowbridge, London, Newark (Delaware) and, presently, Billericay. He has published and read widely. His first collection, ‘Don Marcelino’s Daughter’ was published by Peterloo Poets in 2001 and reprinted in 2002 and 2004. His second collection ‘Unequal Thirds’ was published in 2006, again by Peterloo. His new collection, Kyrie, is shortly to be published (Oct 16th) by Revival Press – the imprint of the White House Poets. ‘Kyrie’, is firmly rooted in nineteen fifties’ Ireland – De Valera’s Ireland – a place and time, apparently so distant now, when religion permeated almost every aspect of life. And it is the lives that are celebrated here, with their pieties, loves, frustrations and hopes, the perennial human condition woven into the sacraments and liturgies of the everyday. Not quite the Limerick of Angela’s Ashes but nevertheless Tim Cunningham has continued on where Frank Mc Court left off but this time in poetry and verse. 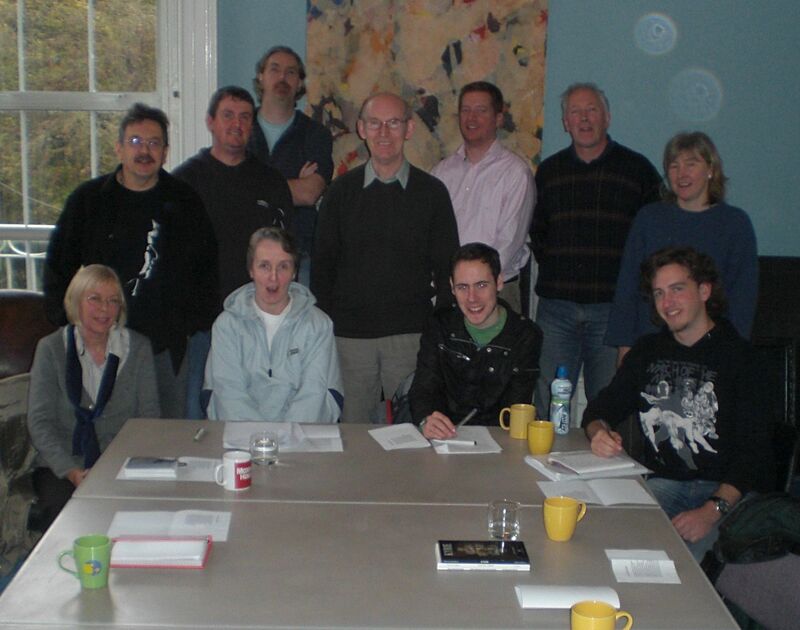 You are currently browsing the Limerick Writers' Centre blog archives for October, 2008.